Author of Days of Hopes and Dreams: An Intimate Portrait of Bruce Springsteen, Frank Stefanko is a fine-art photographer whose work graces the album covers of Bruce Springsteen's Darkness on the Edge of Town and The River. Stefanko's portfolio includes vintage and contemporary photographs of The Rolling Stones, Rod Stewart, Janis Joplin, Frank Zappa and the Mothers of Invention, Bette Midler, Johnny Winters, as well as Bruce and Patti. Frank Stefanko grew up near the working class neighborhood of Bruce Springsteen, and was first introduced to the performer in 1978 by their mutual friend Patti Smith. He lives in New Jersey. Guitarist, composer and writer Lenny Kaye was a member of the Patti Smith Group, and has been Smith's most frequent collaborator. He is also the co-author of Waylon Jennings' autobiography, Waylon: An Autobiography. Patti Smith is a musician, singer, and poet. 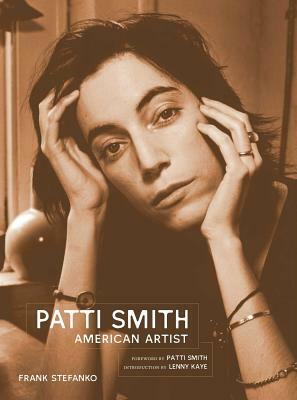 On July 10, 2005, Smith was named a Commander of the Order of Arts and Letters by the French Ministry, honored for her influence on rock and roll and her appreciation for Arthur Rimbaud.